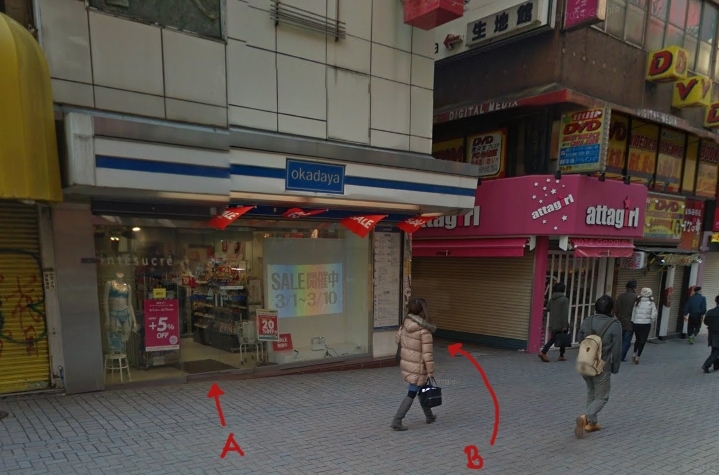 Finding Okadaya can be a bit tricky. It’s located (in 2!! buildings) in Shinjuku, a ~10min walk away from the huge train/metro station. I find their blue and white sign very modest compared to the neighbour’s and I think I walked past it more than 10 times the first time I was looking for it. In the first building you’ll find 6 floors filled with different kinds of sewing materials. They have a great selection of buttons, ribbons, threads, zippers, rulers, knitting material, you name it! There was sooo many beautiful ribbons and lace on one of the floors that I didn’t know what to do with myself. I wanted to get everything but the rational part of me talked me out of hoarding. This doesn’t mean that I left there empty-handed. I found a very cool black and white zipper (ok, I have no idea what I’m gonna do with it, but I definitely need it!). Then followed some regular hidden zippers. The price on these was amazingly a third of what I usually pay. 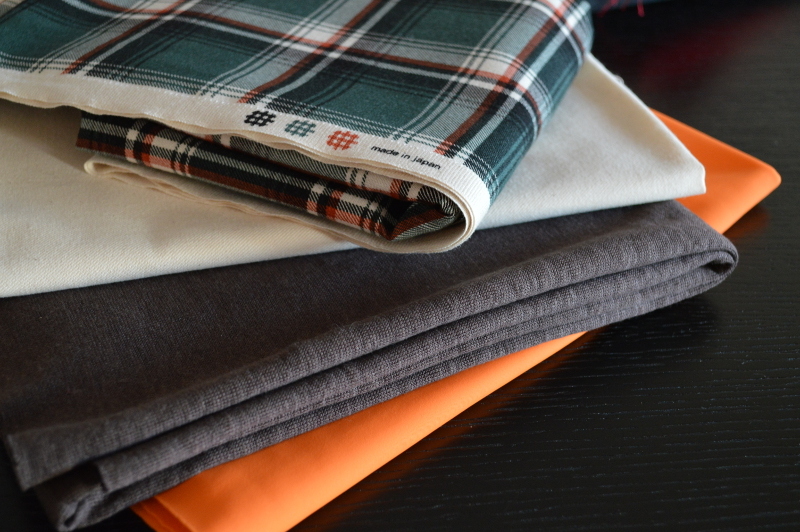 The blue and orange thingamajigs from Clover are for keeping track of your knitting. At the moment I just use them to see how much I’ve knitted in one evening but I guess you could use them to keep track when knitting after a pattern. Next up is the magical “iron-on seam stabilizer”. I always use this to stabilize and prevent fraying around neckline and arm holes. The tiny clothes-pegs are for materials (e.g. leather) that you cannot pin together with regular pins. An awl may come in handy and the brown little thing beside the awl is a Japanese leather thimble. I’ve been using this kind of thimble for a while now and while it takes a bit of getting used to, I like it more than the regular ones in steel. 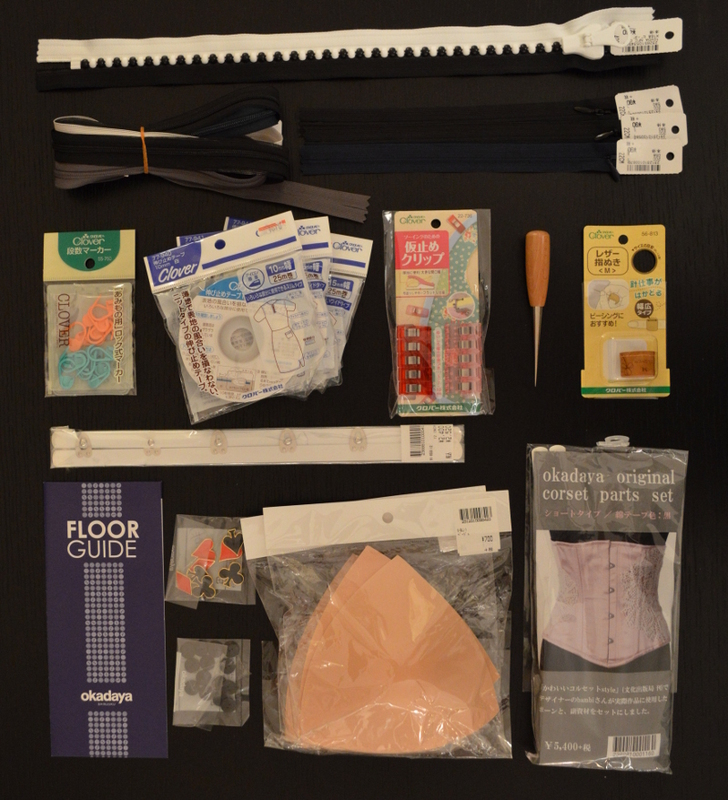 On the bottom row are some corset supplies. I’ve wanted to make a corset for years and maybe it’s finally time I got started. Another thing that I’ve wanted to make is a recreation of an old bikini (that is falling apart now) and I got the padded cups for that reason. Last but not least, some buttons for a shirt and maybe a future Halloween costume. The second building (just across the small street) contains 5 floors filled with beautiful and affordable fabrics. On the top is a rather heavy chequered cotton fabric that I intend to make a tight and rather sculptured dress of. The white cotton fabric under is very stiff and should work as a foundation for a corset. The brown/grey knit will become a top for a friend and the bright orange will become my new bikini! I’ve never even seen swim wear fabric in the stores at home so I’m very excited about this. 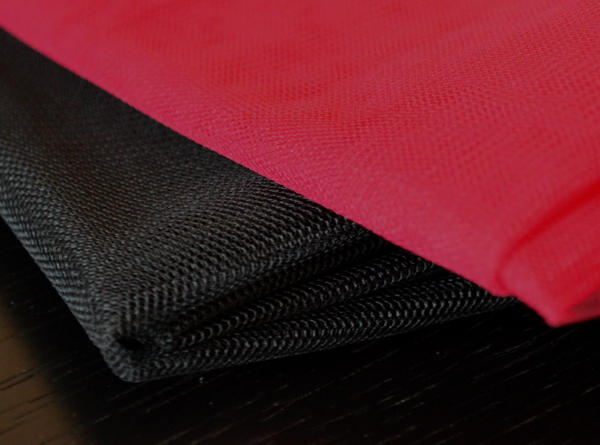 Next up is something red and black that I was thinking of using for a Halloween costume. Can you guess what I have in mind? 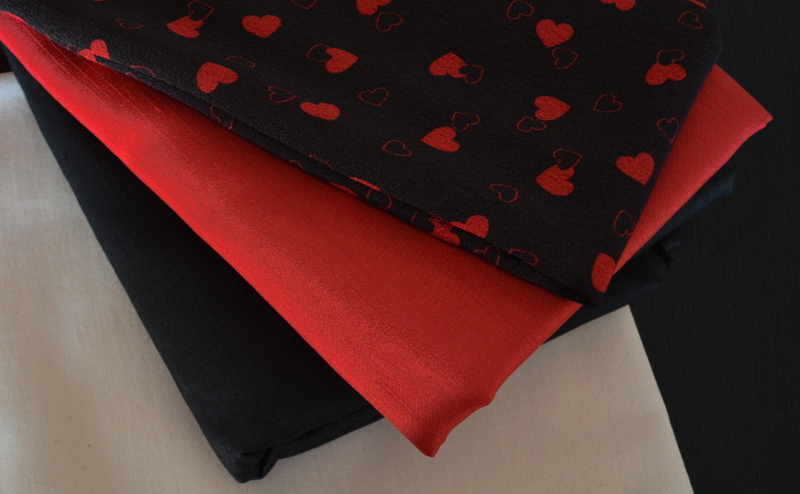 I this love the texture on the red and black fabric and I was pleasantly surprised to find this silk chirimen (crepe) in matching colours. The shopping spree was finished with some tulle in black and some odd raspberry colour. At first I thought it was bright red but the lighting must have been a bit wonky. Not really sure what I should make of this but I always think of something. Categories: Japan, Misc, Travels | Tags: Japan, Okadaya, sewing, Tokyo | Permalink.